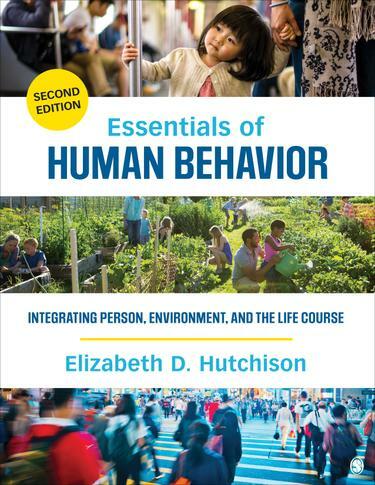 Essentials of Human Behavior combines Elizabeth D. Hutchisons two-volume Dimensions of Human Behavior to present a multidimensional framework for understanding human behavior. Integrating person, environment, and the life course, this best-selling text leverages its hallmark case studies and balanced breadth and depth of coverage to help readers apply theory and general social work knowledge to unique practice situations. Now in four color and available with an interactive eBook, the Second Edition features a streamlined organization, the latest research, and original SAGE video to provide the most engaging introduction available to human behavior.